Acne plagues more than 50 million Americans and adult acne is more common than ever. At Spa Radiance Medical we treat acne with our advanced Sciton Forever Clear BBL™, which delivers light energy deep into your skin, purifying skin cells, leaving you with clear, radiant skin. Consult with your skilled Spa Radiance Medical nurse about creating a personalized regimen. While not required, we do recommend microdermabrasion 3-10 days before treatment to help exfoliate and prime the skin for enhanced results. Use of any aspirin, ibuprofen, and other anti-inflammatory or blood thinning medications may increase the risk of bruising. Please consult your physician before discontinuing use of any medications before treatment. Our nurses will customize a personalized treatment program based on your individual needs. 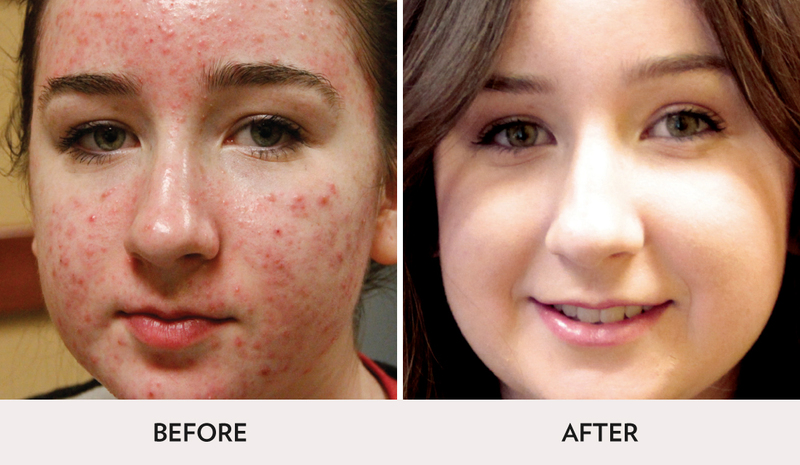 Based on the severity of your acne a custom treatment plan will be created especially for you. Treatments are determined per patient. Series are recommended until desired results. Pain is minimal as we offer numbing cream for patients with a lower pain threshold. After treatment, you may experience temporary redness that will subside within days after treatment. Makeup can be applied immediately.